Tác giả CN Lightbown, Patsy. Nhan đề How languages are learned / Patsy M. Lightbown and Nina Spada. 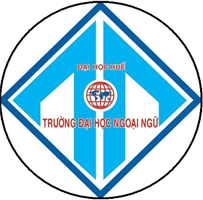 Lần xuất bản Fourth edition. Thông tin xuất bản Oxford :Oxford University Press,2013. Mô tả vật lý ix, 256 pages :illustrations ;25 cm. Thuật ngữ chủ đề Language acquisition. Thuật ngữ chủ đề Second language acquisition. Tác giả(bs) CN Spada, Nina Margaret. 10|aHow languages are learned /|cPatsy M. Lightbown and Nina Spada. |aix, 256 pages :|billustrations ;|c25 cm. |aIncludes bibliographical references (pages 227-247) and index. 0 |aLanguage learning in early childhood -- Second language learning -- Individual differences in second language learning -- Explaining second language learning -- Observing learning and teaching in the second language classroom -- Second language learning in the classroom -- Popular ideas about language learning revisited. 0|aOxford handbooks for language teachers.